Samhain is an ancient Gaelic festival that prehistorically marked the end of the harvest season. It took place annually around sunset on October 31st. 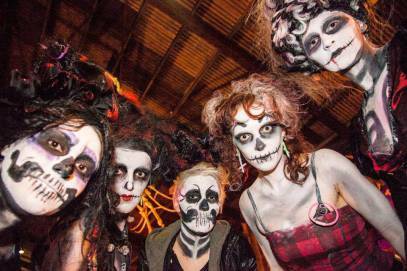 Modern day Halloween celebrations throughout the world have deviated from ancient Samhain celebrations but in Ireland we have maintained a strong tradition of continuing to mark this ancient pagan ritual through a variety of cultural events. 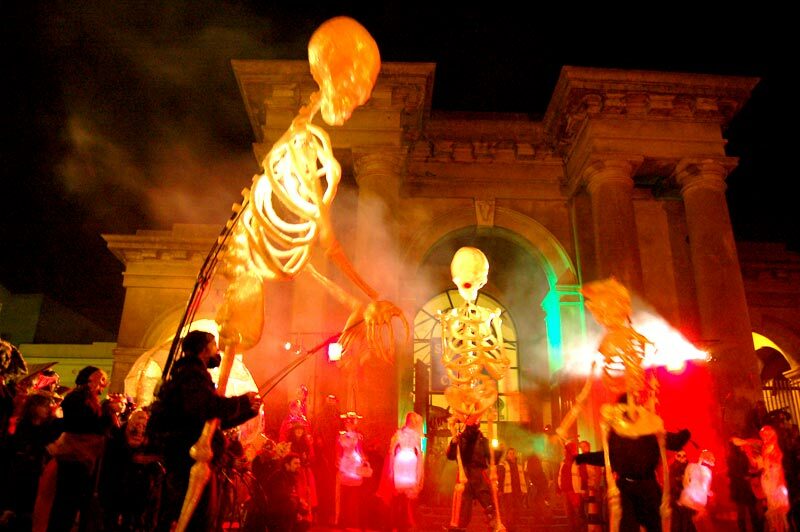 Cork city in particular boasts a wonderful showcase of culture for Halloween. Cork Community Artlink are the initiative behind the Shandon Dragon Festival that takes place annually attracting 100’s of spectators to the streets of the Shandon area. Events commence on Thursday, October 29th with a grand opening at the festival HQ, the marquee in St Anne’s Park by Shandon Bell tower. While there is a lengthy programme of events and workshops taking place across the weekend, one of the highlights will undoubtedly be the Circus Cabaret taking place on Friday night from 7.30pm. It promises to be a magnificent display of dance and acrobatic talent. However, the pinnacle of the weekend is the Parade of the Shandon Dragon taking place on Halloween night. Participants from a wide variety of community groups will perform in costumes and on floats that are the result of months of preparation and artistic work. Visitors and locals are encouraged to line the streets to watch this spectacular display of fire poi, circus and dance performers from 7pm on October 31st. We hope that you have enjoyable Samhain weekend and that you participate in or attend some of the fun events that are scheduled here in Cork over the next few days. For full event listings for Dragon of Shandon festival see the following website link. Welcome to the Gourmet Capital of Ireland – CORK! Beatrice De Caro, our wonderful intern recently discovered for herself why Cork is indeed the Gourmet Capital of Ireland. Beatrice has reviewed some of her favourite dining spots close by the school. Why not check them out for yourselves when you get to Cork! 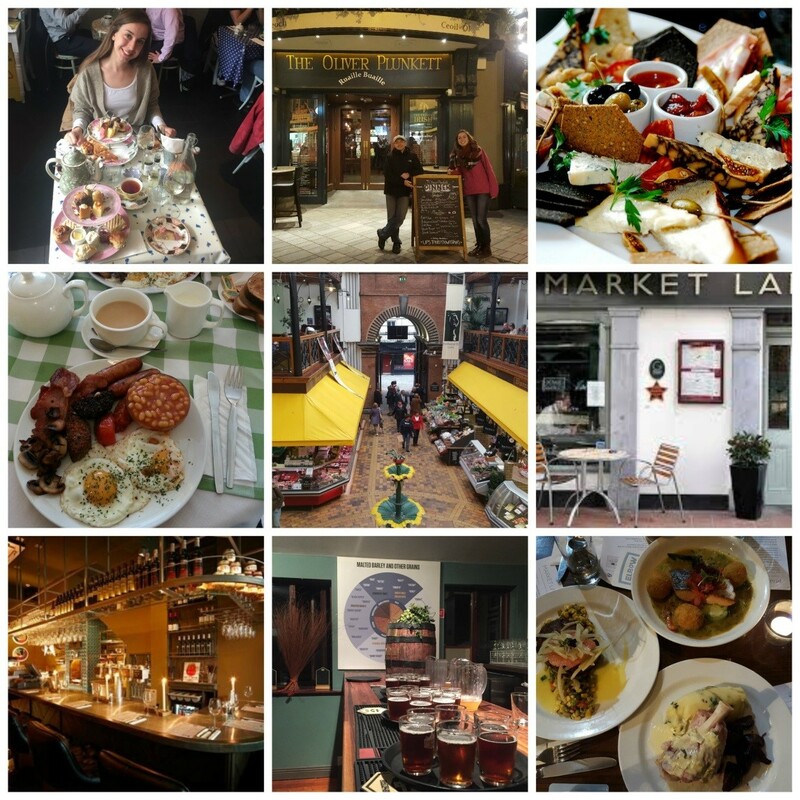 “Of all the great things you can do in Cork, the best one is… eating out! Coming from Italy, where we are probably pretty spoiled when it comes to good food and we tend to have prejudices towards Northern Europe’s food, I didn’t really have high expectations about “Irish cuisine”. Very soon I had to change my mind and I was incredibly surprised by all the great restaurants I found in Cork. It turns out that Cork is in fact the “Capital Food of Ireland”, home to a host of award-winning bars and restaurants. You could start your day with a cup of tea and a delicious scone (my favourites!) at the Farmgate café, inside the English Market, or for the more daring ones, you could try a full Irish breakfast. At the Farmgate café you can also have lunch, just remember they close at five! Everything is made with products sourced locally and, while there, you can also experience the lively atmosphere of the English markets looking down on the stalls. For lunch, there is a very wide choice for eateries. You could go to a pub, where you can enjoy traditional meals such soups, pies, Irish stew, fish and chips or great sandwiches and toasts. Most of the pubs stop serving food at 4pm, except the very popular Oliver Plunkett, where they also serve food every night. Make sure you also go to a tea room and try some of their wonderful cakes, like Tara’s tea room in McCurtain Street, where you could have your lunch or an amazing afternoon tea. If you want to spend a nice evening enjoying excellent food, chatting with your friends while having a drink, you could go to El Vino, where you can also find Spanish-style dishes, tapas and very good wine or Salt, in Victoria Road, to have a taste of French cuisine. In Oliver Plunkett Street you can find Elbow Lane and Market Lane, run by the same owners, where you can have delicious, high-quality (and also affordable!) food and the beer they brew. Talking about good beer, you could also go to the Franciscan Well, have a tour of the brewery, then enjoy one of their beers and get an authentic Italian pizza. So.. enjoy Cork and buon appetito”. Check out website links below for further information. 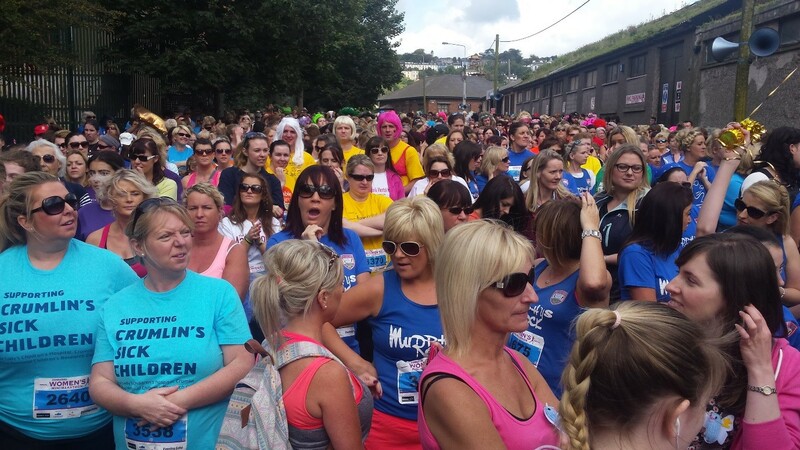 On Sunday 27th of September, a team from ACET joined over 12,000 participants in the Cork Women’s Mini Marathon. Enjoying the warm sunshine of an Indian summer, we embarked on the 4 mile course among a sea of colour. Local charities were the beneficiaries of the funds raised in the Evening Echo Mini Marathon, and it was wonderful to see so many people raising funds for such worthy causes. For the duration of the event, spirits were jolly and we were entertained by some of the costumes and wigs sported by the male participants in the event. Streets and footpaths were lined with well wishers and the families of those taking part. At the finish line, the atmosphere was electric and a huge outdoor party took place at Kennedy Park, where medals and goody bags were presented to finishers. We vowed that we would enlist again next year and that we would entice dozens more to join team ACET for next year’s event! Throughout the past few months, we are all saddened by images of displaced women, men and children arriving in Europe, fleeing their native countries due to violence and oppression. 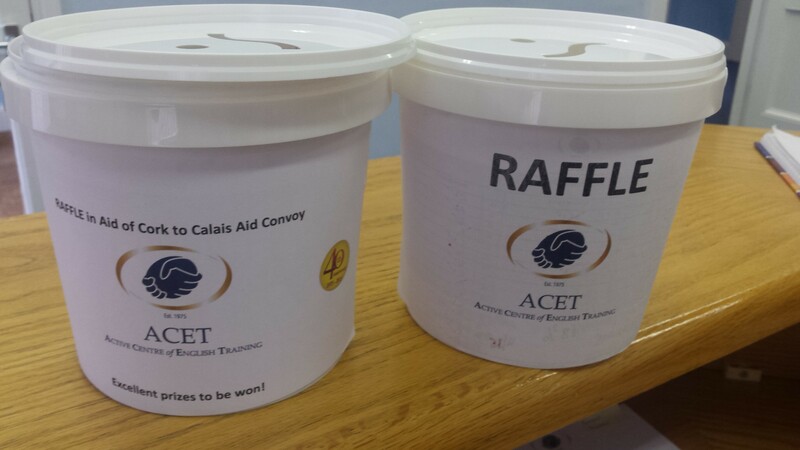 In light of the current humanitarian crisis, a fundraiser was fittingly organised by ACET’s Camille to raise money for the Cork – Calais solidarity volunteer group. 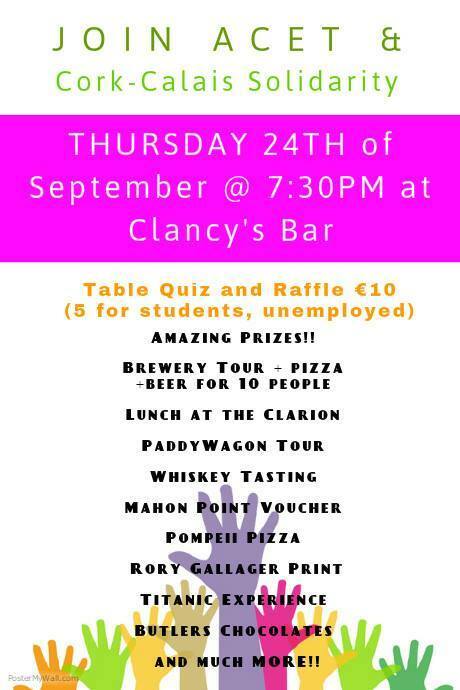 Over 60 people were in attendance at the quiz that took place last Thursday 24th in Clancy’s Bar. 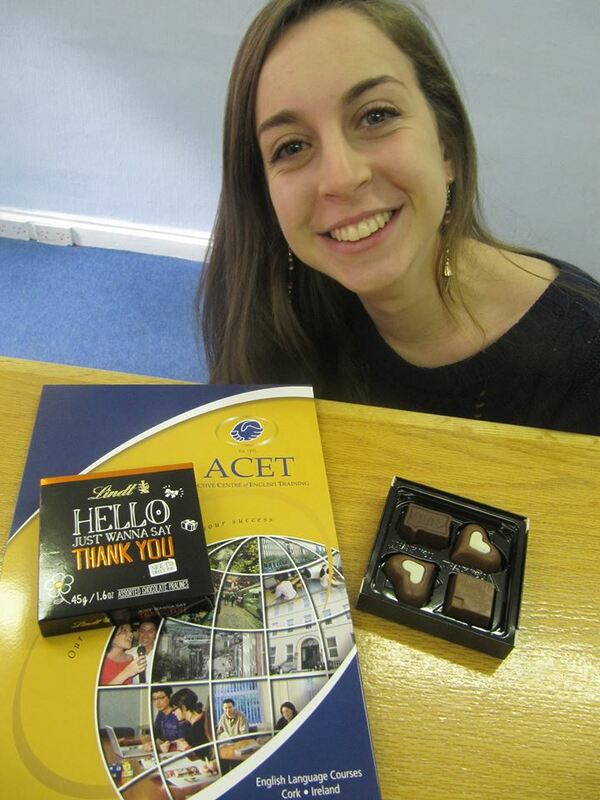 ACET students, staff and friends, both old and new came together for an entertaining night with quiz master Tony. 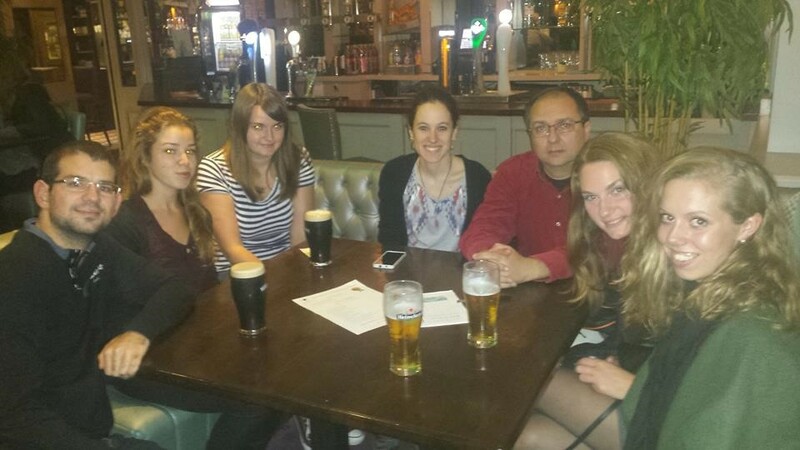 An impressive €1,165 was raised between the quiz entry fees and raffle. The proceeds were donated to a local group of volunteers that will travel from Cork to Calais bringing with them supplies and aid for those living in dire conditions in the port town of Calais. Thanks to all who attended and supported the event and to all who helped on the night. We would especially like to thank the generosity of local businesses who kindly sponsored excellent prizes. The Clarion Hotel, The Fish Wife, IKON Hairdressers, Guys ‘n Dolls, Kartmania, Mahon Point, Rising Sons, Leisureplex, Pompeii Pizza at Franciscan Well, Octoberfest Beag, Paddywagon Tours, Titanic Experience Cobh, Cork Coffee Roasters, Butler’s Chocolates, Clancy’s Bar, The Shelbourne Bar. ACET goes running this Sunday. 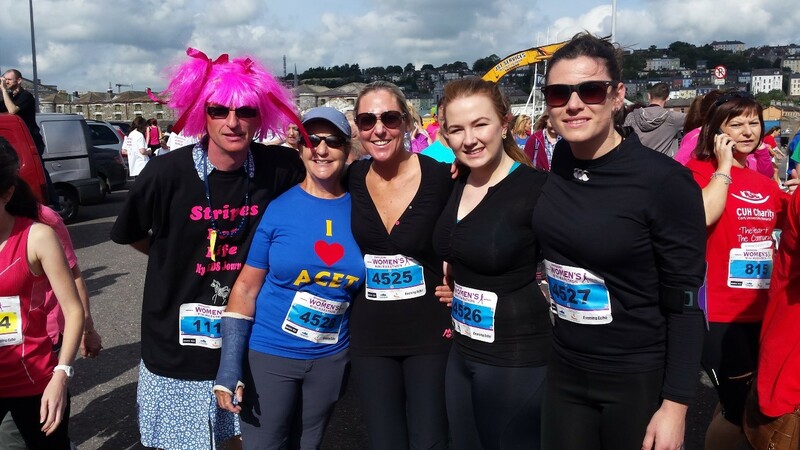 Keep an eye out for Team ACET this Sunday as Odile, Joelle, Maeve and Joanna take part in the Cork Women’s Mini Marathon. 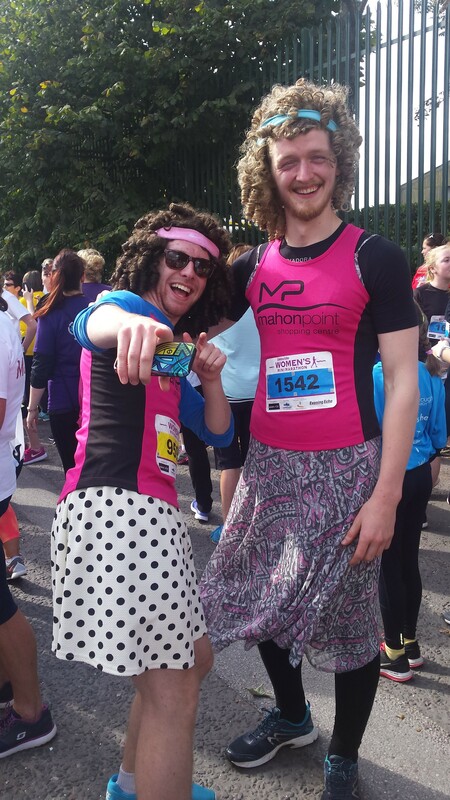 If you see them along the route, be sure to give a cheer!